Normally I see this kind of email and ignore because they are usually junk nonsense. But since I was not willing to die just yet nor did I want my beloved friends or family to face the same fate, I forwarded it on. Through joke a friend of mine said someone should try to call it now and I suggested she should since she was on contract. 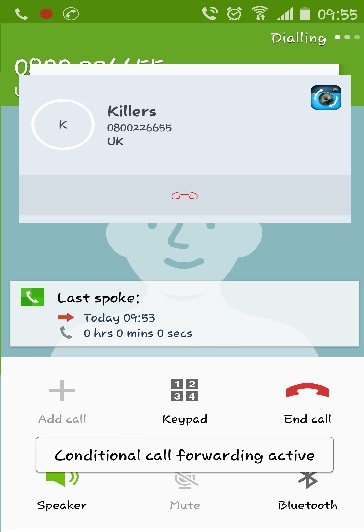 Anyhow, I decided to try it and if it rang I would quickly hang up the phone without saying anything. Who knows maybe it was real and then stopped, but at least now we can assume its a rumour. 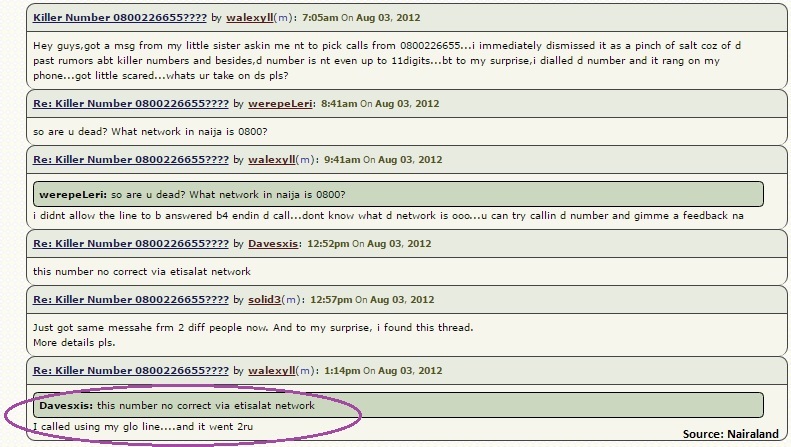 Someone on Nairaland claimed they tried and it went through, abi na Nigeria-related number? It's Personal, UK Nigerian 0800226655 number is fake Bookmark the permalink.